We are amongst the best organizations in offering the most precious quality Variable Frequency Drives to our valued clients. Our provided product is mainly known for its exceptional hassle free and lifelong performance. We offer this at reasonably priced cost to our customers. To deliver a defect free range at clients' end , offered drivers are passed through different quality parameters under the guidance of skilled professionals. 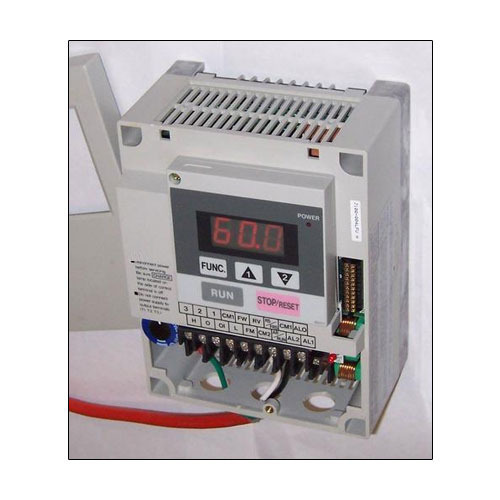 Established in the year 2013 at Hyderabad (Telangana, India), we “Ampere Systems And Technologies”, are a preeminent organization engaged in trading supplying and exporting a wide range of Human Machine Interface Controller, Programmable Logic Controllers, Logo PLC System and many more products. These products are available in numerous specifications in order to meet varied requirements of valued clients. Owing to their superb features such as flawless performance, easy maintenance, precision-designed, simple installation, light weight and light weight. These products are sourced from our renowned vendors of the market. Offered products are quality checked on varied parameters that are set by the industry. Also, we render AMC Control Panel Services.